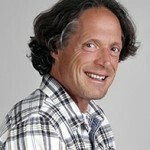 Frederic Luskin, PhD has become world famous for his work in a most unusual subject – forgiveness. This quality is sorely needed in this world of polarization, conflict, and violence. I first met Dr. Luskin when he approached me at the end of a class I was teaching at Stanford University, while he was in graduate school. In this conversation we will trace his pathway to his current position. He is now the Director of the Stanford University Forgiveness Projects and an Associate Professor at the Institute of Transpersonal Psychology. In his work in health promotion, he started to research the effect that forgiveness had on physical and emotional well-being as well as the reduction of the risk of cardiovascular disease. His research showed that learning to forgive helps people hurt less, experience less anger, feel less stress and suffer less depression. As people learn to forgive they become more hopeful, optimistic and compassionate, and they report significantly fewer symptoms of stress such as backache, muscle tension, dizziness, headaches and upset stomachs. In this conversation you will get to meet him up close and personal as he and Dr. Miller share their perspectives on forgiveness and healing at the personal and family level as well as at the global level. In the Forgive for Good workshop and class series Dr. Frederic Luskin presents the forgiveness training methodology that has been validated through six successful research studies conducted through the Stanford Forgiveness Projects. Dr. Luskin’s work combines lecture with a hands-on approach to the ancient tradition of forgiveness. Participants explore forgiveness with the goal of reducing hurt and helplessness, letting go of anger and increasing confidence and hope as they learn how to release unwanted hurts and grudges. His presentations explore the HEAL process of forgiveness that, when learned, can lead to enhanced well-being through self-care. In class practice may include guided imagery, journal writing and discussion all presented in a safe and nurturing environment. Dr. Luskin holds a Ph.D. in Counseling and Health Psychology from Stanford University. Dr. Luskin continues to serve as Director of the Stanford Forgiveness Projects, an ongoing series of workshops and research projects that investigate the effectiveness of his forgiveness methods on a variety of populations. The forgiveness project has successfully explored forgiveness therapy with people who suffered from the violence in Northern Ireland, Sierra Leone as well as the attacks on the World Trade Center on 9/11. In addition his work has been successfully applied and researched in corporate, medical, legal and religious settings. He currently serves as a Senior Consultant in Health Promotion at Stanford University and is a Professor at the Institute of Transpersonal Psychology. He presents lectures, workshops, seminars and trainings on the importance, health benefits and training of forgiveness, stress management and emotional competence throughout the United States. He offers presentations and classes that range from one hour to ongoing weekly trainings.